Lately we’ve just been embracing summer as much as we can. I’m always so big on meal planning but lately I’ve been trying to keep it casual. No one wants to turn on the oven when they don’t have to. I am working on a post with some easy summer meal ideas we love. Less time in the kitchen=more time for summer fun. I pre-ordered this cookbook recently and I cannot wait until it comes in the mail. I’ve followed her blog forever. Have you guys heard of Cobs Bread? We stopped there this week to try a few things after reading about it in the paper. I love the concept. The staff is so friendly and helpful and they have so many good things to choose from. The ham & cheese croissant was perfect and my Main Taste Tester raved about the cinnamon bun he tried. It’s a good little place to check out, Regina folk! On Friday night, we met friends at their condo for drinks and a BBQ. We haven’t seen them forever and we had great conversation and many laughs. I went to Melville to spend an evening with childhood friends of mine who live there. We had a Jamberry party and then we had some drinks and attended a cabaret. Although we got eaten by mosquitoes, the live music was awesome and we had a great time. I love small town things like that. Also, worth noting: we bought cheeseburgers from a little stand there that blew our minds. Like, so good that Christa’s not supposed to eat gluten and she had two. 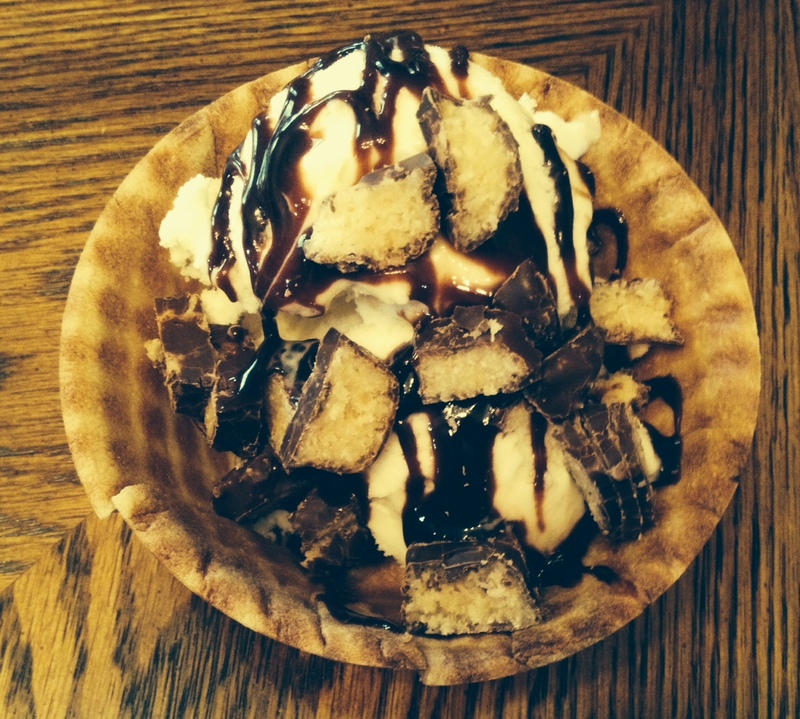 A waffle bowl sundae on a Sunday.